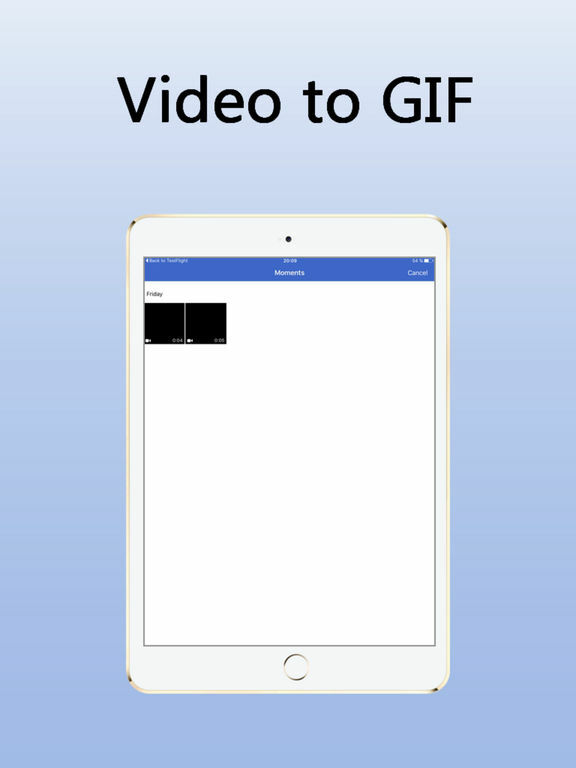 "InstaGIF creator - Video to GIF" enables you to edit and convert your video into GIF animation. 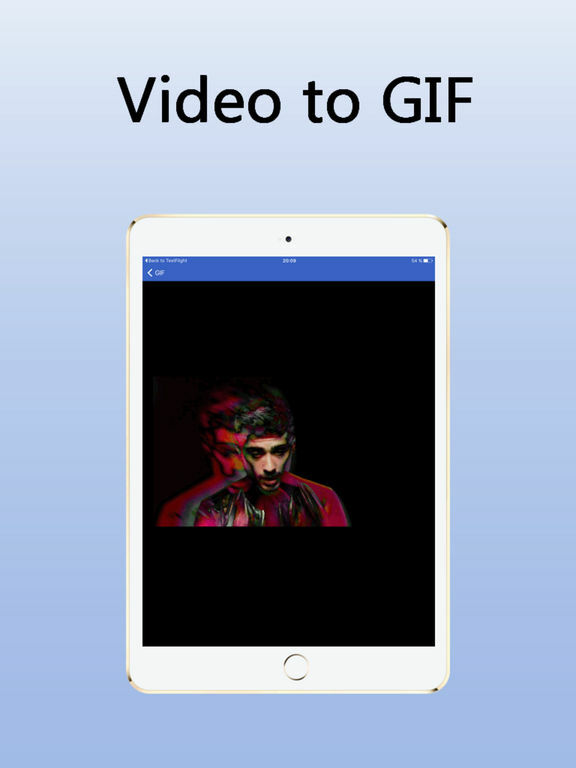 To create GIF animation you can use MP4, MOV, 3GP video formats. While creating animation, you can set the speed of the video display, the number of frames per second, change the direction of playing, switch on the cycle mode and change the size of video. 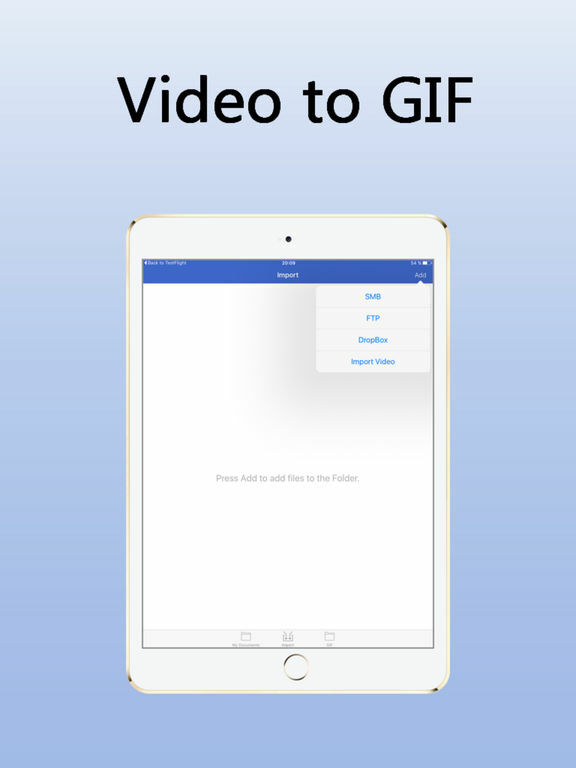 After creating GIF animation, the settings are automatically saved and can be used for further conversion into GIF. "InstaGIF creator - Video to GIF" can download video using FTP / SMB or from DropBox. To download videos to the device is also possible with any file manager or iTunes to the "Common Files \ Documents" catalogue. The received GIF files can be saved on your computer by copying them from the "Common Files \ Documents" catalogue. All GIF animations are stored in the "Gallery" section where you can rename, delete or publish them in social networks or on popular WEB services.